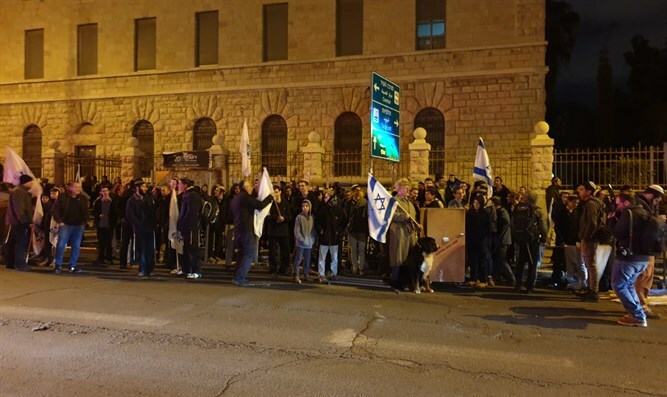 Hundreds of protesters demonstrated against Prime Minister Netanyahu at Jerusalem's Paris Square Thursday evening in response to the series of terrorist attacks which have taken place this week. The ads that were distributed for the demonstration read: "Our dead are lying in front of us. We have stopped being silent because we are tired of dying." Following the demonstration near the Prime Minister's Residence, the police blocked the route fromArlozorov Street through Ben Maimon Boulevard to Paris Square.